Wee-ones on Wednesdays: Join us one select Wednesdays this fall for early-morning programs just for you and your wee-ones. 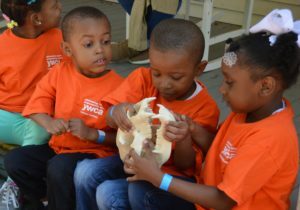 Animal encounters, crafts and activities will vary at each event. Wee-ones on Wednesdays is FREE with Zoo Admission. All Wee-ones on Wednesdays take place at 9:30 at the locations listed below. PROGRAMS AND DATES COMING SOON!